Ryan and I have an ongoing "argument" about his inability to listen. Women, tell me I'm not alone in this! It's like Ryan's ears have a shield that sometimes (always?) goes up when his wife begins to speak. I have several examples that looking back, I can laugh about now, but it was a different story in the moment! Don't even ask us to recount the "three things from the grocery store" story...eek! A few weeks ago we had some extra avocados hanging around the kitchen and I told Ryan I had seen some recipes for avocado pudding that I planned to try. It was also the same week that I made French Silk Pie, which we brought over to my sister-in-law and brother-in-law's house. After cutting slices of pie for everyone and joining them in the basement, I walked into the conversation just in time to hear Ryan tell everyone there was avocado in their pie. 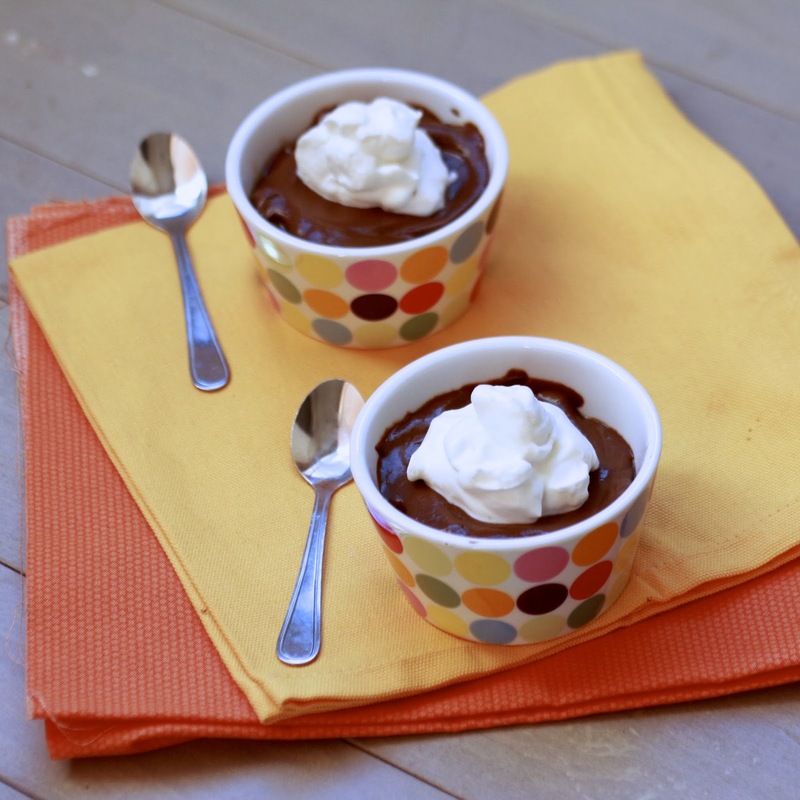 Now, it's not unlike me to try and sneak some healthy ingredient into a dessert recipe (this pudding is case in point! ), but I hadn't done that with the pie and I certainly didn't want it to spoil everyone's perception of my first French Silk Pie! I quickly explained that there was no avocado in their indulgent dessert and shot Ryan the look he's now all too familiar with: the "ahem, thanks for listening...NOT!" look. 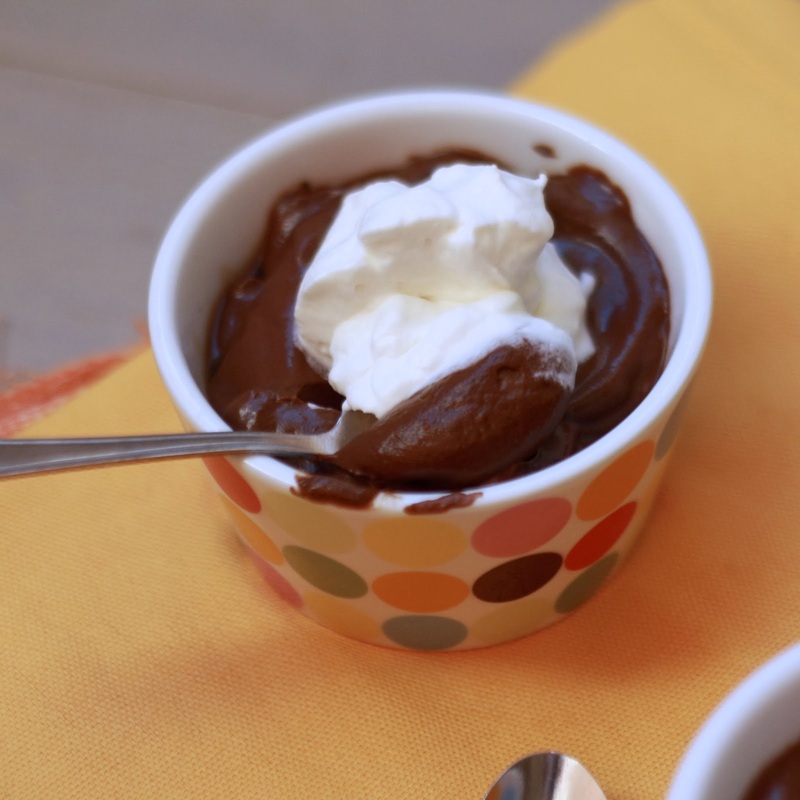 So yes, no avocado in the French Silk Pie, but I will definitely vouch for the avocado in this chocolate pudding! I was surprised to discover you really can't taste it, not even a little bit. The pudding was as smooth and creamy as my peanut butter pudding, except it had no milk (I used almond milk...though I'm sure regular would be fine) and was made in the blender! 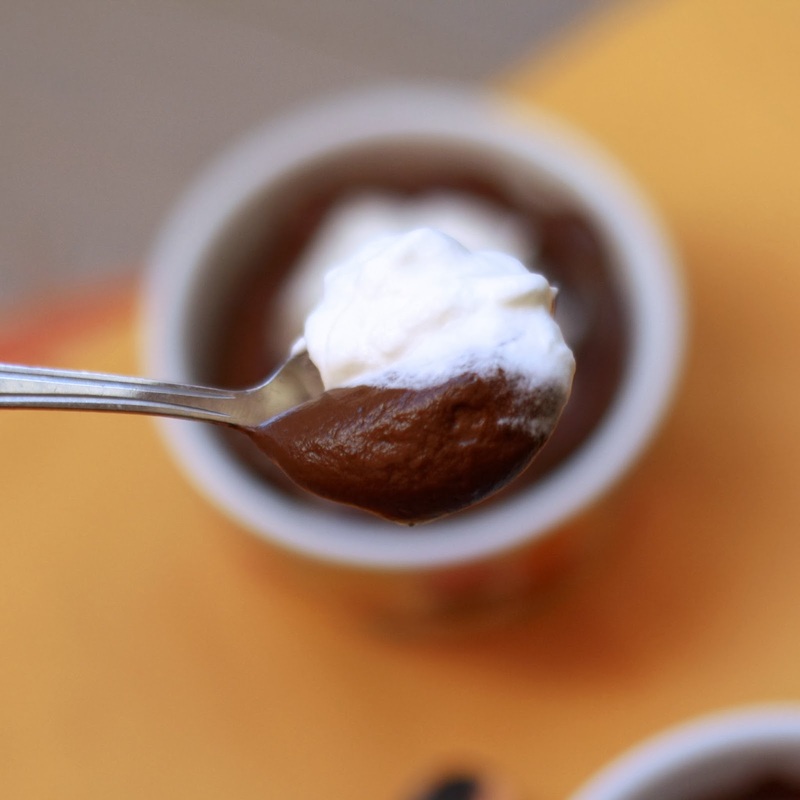 I kept the sugar to a minimum and so the pudding wasn't super sweet at all...if you want more of a dessert and especially if you aren't topping it with whipped cream, I recommend upping the sugar a bit! 1. Add all ingredients to a blender and process until smooth. Transfer to serving dishes or bowls, cover with plastic wrap, and refrigerate until chilled. 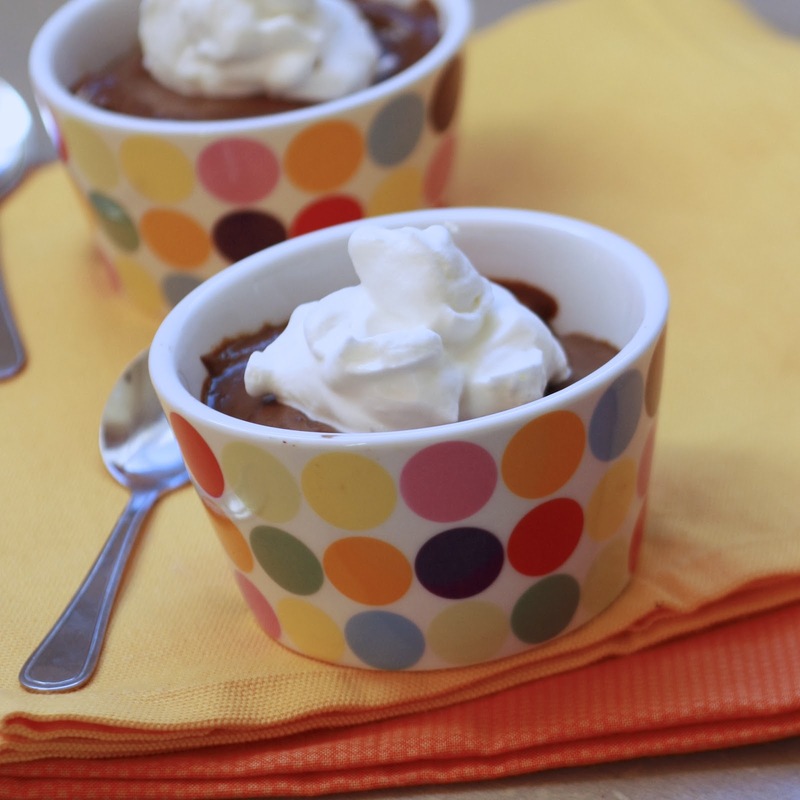 Serve topped with sweetened whipped cream, if desired.